Planning for this event started with a simple idea back in December. I wanted to show the Sault that riding fat bikes on snow is a ton of fun. We contacted the Bon Soo organizers and they were keen to add us to the roster of events. Next order of business….the details. Contact the bike shops to see if they had demo bikes available. Contact the city to get permission for the trail construction, access to power, snow piling and our fireplace. Contact the DJ so that our event would have music. Along the way an idea for a fireplace came to fruition with a very generous donation from Andre Riopel and the excellent craftsmanship of Traders Metals. Trail construction begin 11 days before the ride. A trail was roughed out, so that we could show it to city staff during the on-site inspection. 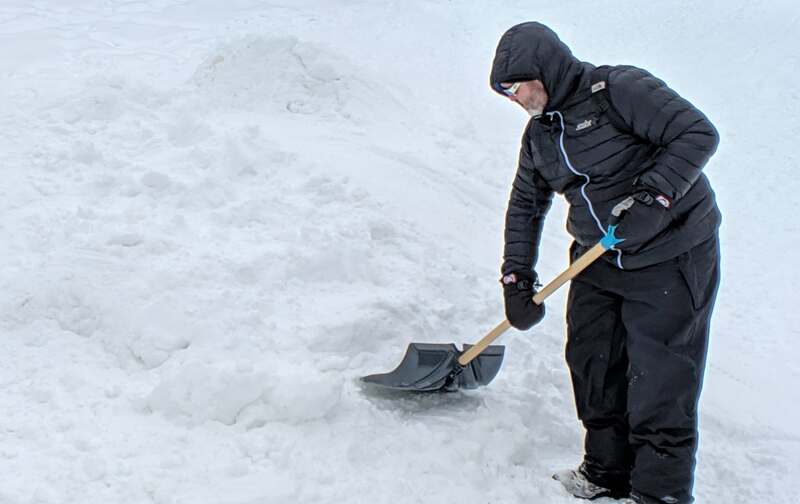 Roughing out a fat bike trail involves a lot of snowshoeing… back and forth compacting and widening each trail segment. The trail alignment was refined and the artistry began about 7 days before Bon Soo. This is when features such as Dusty drops, the berms and the rollers were created. 3 days before Bon Soo, Brian Anstess’ Sault College class came out and added some awesome berms and snow sofas. The two nights before Bon Soo had more snowshoeing to make the trail as solid as possible and test riding (making trail is not all work!). 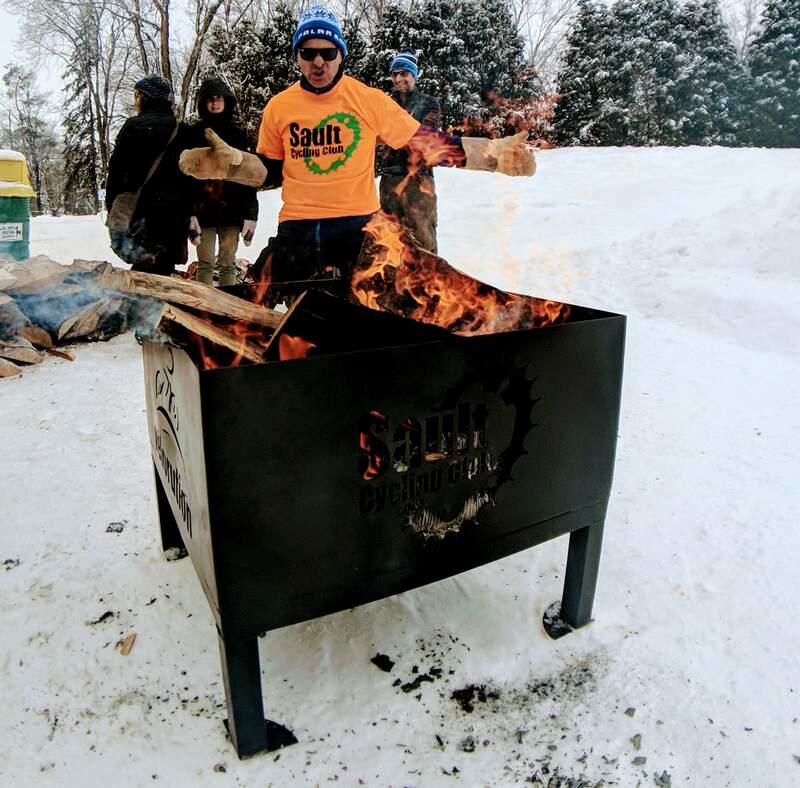 Finally, on event day everyone pitched in to make final course arrangements, start the fire, get the music going and get riders out on the trails. 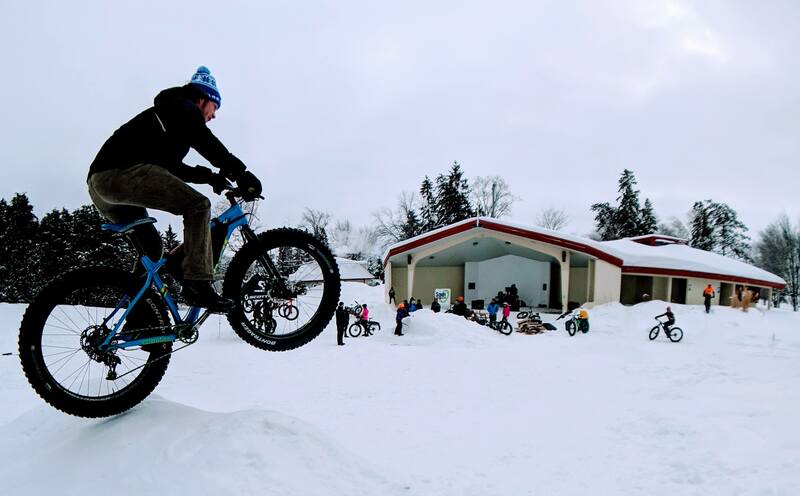 I would especially like to thank Taylor, Brian, Dusty, Josh, Neal, Mark, Sean, Joley, Nate, Reg and Jason and others for creating a fantastic, snowy, biking playground for Bon Soo! 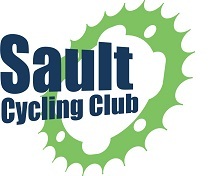 You can now purchase a Sault Cycling Club Membership on our Website! SCC Jerseys are available for order!